Manuel Diaz grew up with a fun childhood filled with sports, friends, and family. He is a World History teacher at John A. Ferguson Senior High School and has been teaching at Ferguson for two years now. Mr. Diaz was born in Brooklyn, New York and moved with his parents to Miami, Florida when he was 5 years old. His childhood was mostly spent outside playing with his friends. He played a lot of sports, mostly basketball. He grew up with his mother, father, brother, and sister that all followed his journey through his childhood. Mr. Diaz strongly feels that his childhood shaped him to be the person he is today: outgoing, humorous, and social. A massive part of his childhood was in Miami, Florida so that was a major factor as to why he went to FIU. He studied there to major in Veterinary Medicine, and even though he stayed there for all 4 years, he didn’t enjoy it. He felt he “didn’t get the college experience,” he thought he was going to get. He felt like other schools would have provided him with the college experience he was hoping for with an even better academic one. Some other colleges he wished to have gone to were the University of Florida or a college out of state. Soon after, he met his wife who he has been married to for a couple of years now. They have 3 children together: a 14-year-old boy that is in the 9th grade and two girl twins that are 13 years old and in the 8th grade, going to start freshman year next year. His son is currently attending Ferguson for high school and his other two daughters will be attending next year. Since he was little, Mr. Diaz had wanted to be a veterinarian but changed over time when he started getting some temporary jobs. In every job, he always ended up in a teaching role of some kind. This is what inspired him to try teaching. 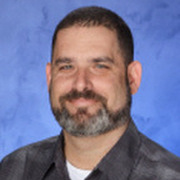 He first started teaching at Felix Valera Senior High School, then moved to Lamar Louis Curry Middle School, then finally moved to John A. Ferguson and has been teaching here for the past 2 years now in the history department teaching World History. His love for history had started when he was young, and it had been first taught to him in school. Whenever they gave lessons about history, he was fascinated by every aspect of it. Since he was little to now, he is still as interested as he’ll ever be. Although, his passion for history couldn’t hide the fact that he was nervous on his first day at Ferguson. In his first year, he thought he couldn’t give the education they needed and if he would deliver it good enough, so the students would understand and apply it. But now that he has been teaching Ferguson for about two years, he isn’t worried about that anymore since he is now familiar with the way the school works and how the students act and work as well. Much like a freshman on his first day, he feared getting lost. It was his first time in such a big school like Ferguson, so he had a reason to feel like that. In the last school he taught in, Lamar Louis Curry, he was employed in the history department for 1-year teaching American History. In the first teaching job he had at Felix Valera High School, he worked there for 1 year as well as teaching World History and American History. Mr. Diaz is friends with many of the teachers surrounding his classroom and is quite a social person. He is always joking around with his coworkers before class when students are gathering in. Once he starts lecturing, he shows everyone that he is a wonderful, funny teacher who is understandable and the perfect teacher for something as detailed as World History.